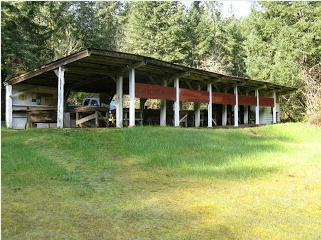 The Eugene Chapter of the Izaak Walton League has worked to provide a safe and convenient place to practice shooting for local residents for over 50 years. We are a members only range and not open to the public. The chapter and members also participate in a wide variety of voluntary conservation efforts affecting our land and wildlife. We welcome newcomers to the chapter and encourage stewardship of the land. 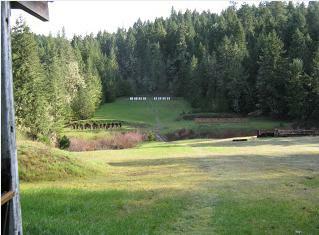 The range is open daily from 8:00AM to 7:00PM or sundown, whichever is earlier. The fourth Saturday of each month is range clean-up day. All or part of the range may be closed for repair, maintenance, or improvements. Eugene Chapter members are encouraged to volunteer for these activities and earn hours toward your work bond (which means you pay less for your Range Use Fee). Please remember to put a note into the boxes in either pistol bay 2 or at the rifle range whenever you do any work on the range so you can get credit for it! IWL Ladies Steel Match, Sunday, 4/28, 9 am to 1 pm. This is the first event of the 2019 season! All skill levels welcome. $20 fee. Early arrival to help set up is appreciated. New shooters should be there by 8:30 for new shooter orientation. For more information, contact Gina Gardner 541/554-4129 or email: ginaggaits@gmail.com. The 2019 season sponsor for The Izaak Walton League, Eugene Chapter Ladies is 295 Tactical located at 1414 Main Street Springfield, Oregon. Next Range Cleanup, 4/23/19, starting at 8:00 am. Remember, for every hour you work, you get $5.00 off your Range Use Fee at the next renewal (Workbond credit)! Don't forget to put a note into one of the boxes in either pistol bay 3 or at the rifle range or by emailing workbondhours@gmail.com whenever you do any work on the range. Please include your name, the date, the number of hours you worked, and what you did for that time to make sure you get your credit for it. Next Membership Orientation is April 27, 2019 at 8:30 am. Please be at the Rifle Range, at the top of the road. We will take the first 25 people who sign in. Please go to our Membership Page for information about dues, location, etc. Gate won't be open till 8:00 am, so please do not come any earlier than 8:00 am so we don't cause a traffic jam at the gate! NOTICE: BOARD AUTHORIZED STEEL TARGETS AVAILABLE FOR PURCHASE! More information here. Please remember that during Board authorized events, the portion of the range that is being used for that event is closed to nonparticipants. Range Safety information is in our Range Manual (must have Adobe Acrobat). Map of the shooting range location. Address is 30930 Izaak Walton Rd. (sometimes spelled "Isaac" Walton). Mailing address for the chapter is IWLA; P.O. Box 2247; Eugene, OR 97402.